There is a large Humanities Applicant Day on Wednesday 24 Feb 2016; this means that 137 parking bays will be reserved for this event in the Giles Lane Blue Zone car park. Please remember that it is likely that other car parks in the centre of campus may be full. The University’s Traffic Regulations do state that we do not guarantee a space to park, however there is normally parking available in Park Wood Courts. If you park at Park Wood you can use the green Park & Ride bus pass that came with your parking permit in conjunction with your KentOne card to ride the UniBus back to central campus for free. Parking enforcement will remain in operation, please ensure that you park in marked bays only within the car parks valid for your permit. This entry was posted in News on February 23, 2016 by Miriam Sandiford. There is a large Applicant Day on Wednesday 17 Feb 2016; this means that 220 parking bays will be reserved for this event in the Giles Lane Blue Zone car park. This entry was posted in News on February 16, 2016 by Miriam Sandiford. 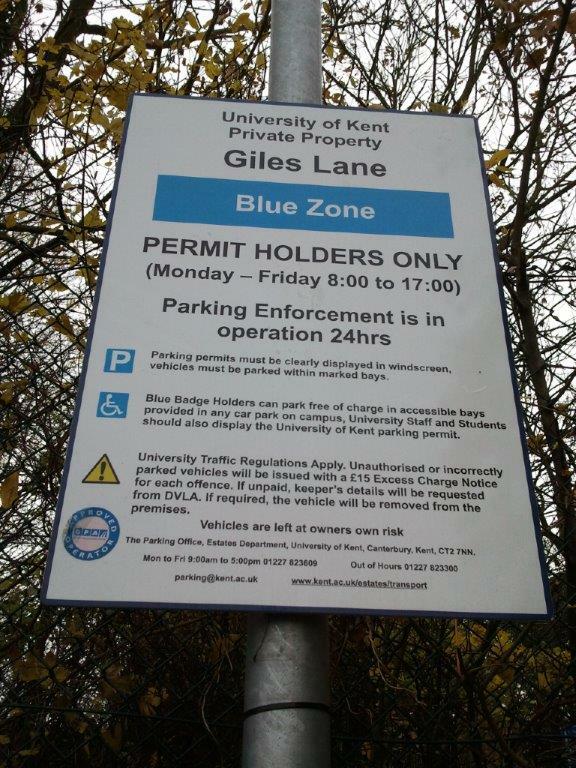 There is a large Applicant Day on Wednesday 3 Feb 2016; this means that 166 parking bays will be reserved for this event in the Giles Lane Blue Zone car park. 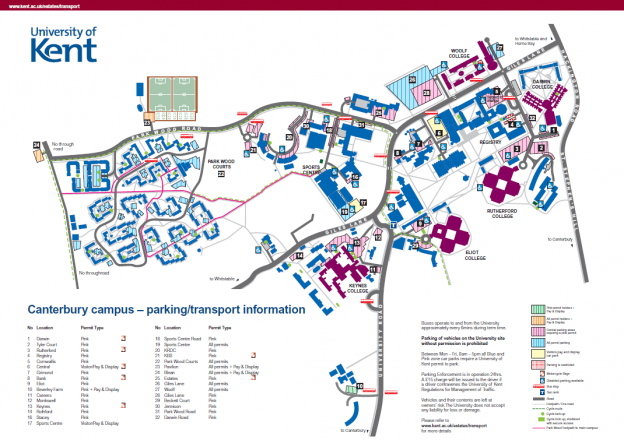 Please remember, that it is likely that other car parks in the centre of campus may be full. The University’s Traffic Regulations do state that we do not guarantee a space to park, however there is normally parking available in Park Wood Courts. This entry was posted in News on February 2, 2016 by Miriam Sandiford.